Why are American women failing to medal in Olympic figure skating? Four of the top five finishers in the 2018 women's free skate were from Russia, including gold medalist Alina Zagitova, center, and silver medalist Evgenia Medvedeva, left, or from Japan. It has been 16 years since an American won Olympic gold in the individual women's figure skating event and 12 since a woman reached the podium. This year in Pyeongchang, the drought continued. 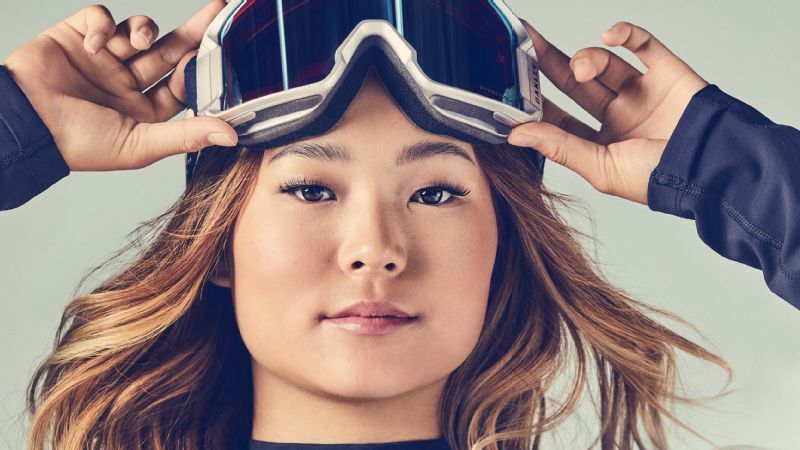 Bradie Tennell and Mirai Nagasu -- who became the first American woman to land a triple axel at the Olympics -- along with Karen Chen placed ninth through eleventh in the individual competition. 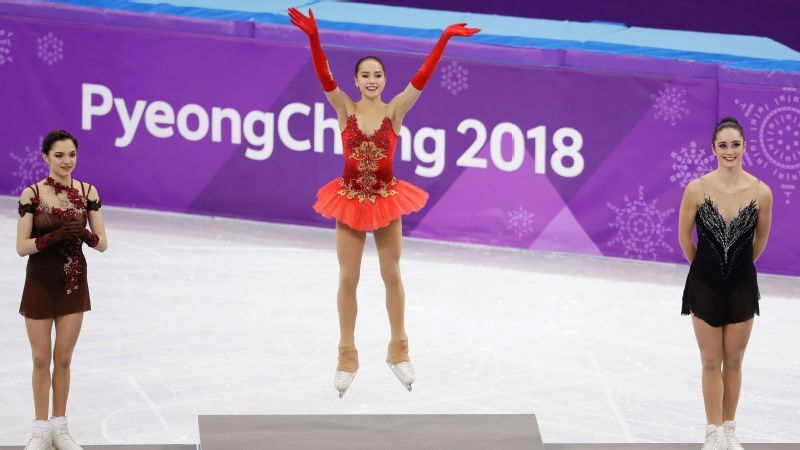 Meanwhile, five of the top finishers were from either Russia or Japan, including Russians Alina Zagitova and Evgenia Medvedeva, who won gold and silver, respectively. For decades, U.S. skaters were among the most dominant. Starting with Tenley Albright in 1956, American women won seven of 13 golds awarded from 1956 to 2002. Since figure skating was included in the Olympic program in the 1908 London Games, American women have won a total of 23 medals -- but none since 2006, when Sasha Cohen took silver in Turin. Sarah Hughes was the last to win gold in Salt Lake City in 2002. Why the prolonged absence of American women on Olympic singles figure skating podiums? There are a few explanations. Many argue that a more complicated scoring system has worked against the Americans' traditional strengths by valuing technical skill over artistry. While other countries, especially Russia and Japan, adapted to the change quickly -- and have cultures that actively embrace and promote figure skating -- a series of self-imposed restrictions on technical elements, particularly jumps, set the U.S. behind developmentally by nearly a decade. As a result, American skaters have been playing catch-up. Under the previous system, scores were awarded on a 6.0-point scale for technical merit -- skills such as jumps and spins -- and presentation, a relatively subjective assessment of a program's overall artistry that considered things such as composition, use of music and style. But after a vote-trading scheme at the 2002 Salt Lake City Games resulted in the suspension of two judges, the International Skating Union implemented the International Judging System, or IJS, in 2005. This structure awards cumulative points based on technical elements and five program components: skating skills, transitions, performance, composition and interpretation of the music. While it's a much more complicated system that isn't without its flaws, it placed much more importance on the more difficult and riskier jumps. "Every country adapted to the IJS differently," Justin Dillon, high performance director at U.S. Figure Skating, wrote in an email. "Where American skaters were rewarded in the past for their excellent spins and overall programs, the IJS focused on rewarding jumps." Countries such as Russia and Japan began altering their developmental programs to play to the IJS system years before the U.S., said Tom Zakrajsek, who coaches Olympians Nagasu and Vincent Zhou. That meant teaching triple jumps and triple-triple combinations as early as possible so that those point-maximizing elements are mastered by the time skaters reach elite competition. "You see very consistent jumping with the Russian women, with some of the Japanese women," said Jackie Wong, who runs figure skating-analysis website rockerskating.com. But oftentimes, American girls weren't learning the hardest jumps at the same age as their foreign competitors. "After the last Olympics, we recognized that many of our young skaters were largely focused on winning a U.S. Intermediate or Novice title," Dillon wrote. In other words, female skaters in national competitions made the podium by landing perfect doubles, rather than by attempting triples, so there was little incentive for American girls to start learning triples earlier, even if that game plan was short-sighted for those looking for international success. "Quite frankly, that judging system wasn't designed for developmental skating -- it was designed for evaluating elite-level skating," Zakrajsek said. "In our country, it was frowned upon to do a jump that was under-rotated or cheated developmentally." U.S. Figure Skating has since passed rules to give young skaters an incentive to "aim higher," Dillon wrote, by adding bonus points for difficult jumps and reducing the penalties for falling. "This has resulted in some fearless young skaters, who most certainly will be able to compete for international podiums going forward," he said. "We had a whole generation of skaters that really weren't coming through the pipeline ready to go into the junior Grand Prix and be competitive with triple-triple combinations," Zakrajsek said, adding that a female skater will have ideally learned the full cadre of triple jumps by age 12, so that in a couple years she can compete with the 13- and 14-year-old Russian and Japanese skaters who have already mastered their triples. "It takes a lot more time to learn those complex skills." Another change, coming in 2015 from then-newly elected U.S. Figure Skating president Sam Auxier was to allow novice women to attempt an extra triple in a jump combination, permitting them to try triple-triples instead of just triple-doubles, something that had previously been restricted. "You know, this is a sport," Auxier said. "We've adopted a kind of a new outlook on the sport, especially for young ladies." Why did it take so long? A rule change requires a vote among the organization's delegates. With hundreds of clubs, each getting one to four delegates depending on size, there are a lot of competing interests to manage and opinions to sway. "When we've come up with these changes, we spend a lot more time upfront explaining the benefits and, you know, essentially selling any rule changes," Auxier said. Plus, according to Zakrajsek, convincing parents that it's worth having their daughter learn a triple jump she might not be ready for is a huge challenge. There's always a fear of injury, though both Zakrajsek and Auxier contend that learning these jumps earlier actually reduces injury risk. It also pays off in the long run. "Figure skating is a fine motor skills sport. That means it takes thousands of repetitions and thousands of hours to master the movements to make them really lightning-fast and automatic," Zakrajsek said. "If you don't start that process when you're young, you can't really be very good at it, and you don't learn it as your body ages. And so getting these new rules in place, I think, is going to have the biggest impact to returning especially the American women to dominance again in the world." You can already see some of the positive effects of lifting these restrictions. At this year's U.S. national championships, 10 of the 12 women competing at the intermediate level attempted two triples, with each one planning one of those jumps in combination. 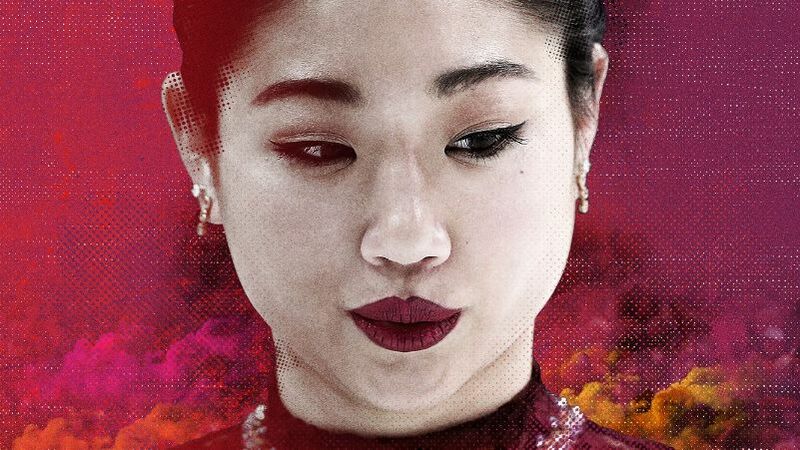 What's more, at age 24, Nagasu became the first American woman to land a triple axel at the Olympics, in a triumphant return to the Winter Games after she was looked over for Team USA in Sochi in 2014. The move helped the Americans take home bronze in the team event. 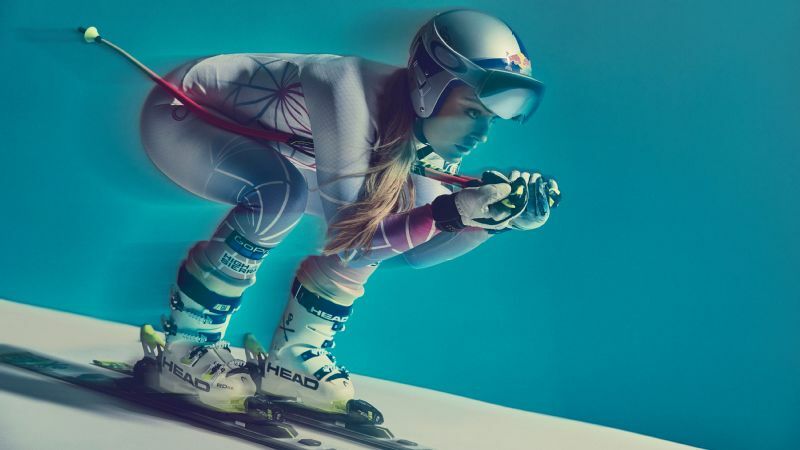 But she isn't the norm, picking up the triple axel relatively late in her skating career, first landing the jump in international competition in September. Coaching is also structurally different in countries such as Russia, Japan and China, where many elite coaches run extremely competitive academies, admission to which is highly sought after. Those academies don't exist in nearly the same way in the U.S., where coaching is much more individual rather than collectively focused. In lieu of these elite schools, many of which are state-sponsored, USFS has expanded its outreach to getting kids on the ice and making it more accessible and affordable. In many ways, the decline of American figure skating is simply yet another marker of the U.S.'s shifting role in a globalizing landscape. The U.S.'s dominance is no longer the given it was for much of the 20th century post-World War II, thanks, in part, to the rise of other countries, particularly in Asia. In 2016, a partnership between U.S. Figure Skating, USA Hockey and US Speedskating launched Learn to Skate USA, an effort to teach basic skating skills at a young age and encourage kids to eventually move into figure skating, hockey or speed skating. "They get it. You know they are trying," Wong said. "It's tough to do turn-around, and it's tough to do turn-around of an organization that's been around so long, that used to just have stuff flying into their laps, and it was so easy." Mirai Nagasu became the first American woman -- and third overall -- to land a triple axel in the Olympics. The decline of U.S. women on the podium has created a somewhat vicious cycle in which the lack of successful role models fails to inspire the next generation of skaters to push their technical boundaries. While many of the old guard of skaters lament the new IJS system for removing some of the artistry from the sport, Zakrajsek notes that most of those skaters in reality pushed themselves to keep up with the domestic competition around them -- without needing point incentivization to do so. Kristi Yamaguchi did a triple lutz-triple toe combination in order to compete with Tonya Harding's triple axel. Hughes' dark-horse gold medal came in a caution-to-the-wind performance that included two triple-triple combinations: a triple salchow-triple loop and a triple toe-triple loop. According to Zakrajsek, that is what has been missing from American figure skating of late, particularly among the women: a leader, a role model, a goal, a target, for younger skaters to point to and up their game accordingly. "I know from talking to coaches around the world that young girls see Mirai as an inspiration to help them understand that they don't have to be kind of a teenybopper to learn that jump," Zakrajsek said. Still, "that generally isn't the case," and he said he's coaching girls as young as 8 to start learning triples. Nagasu's Olympic teammate Tennell also had an encouraging start to the Olympics in the team event, if only to fizzle out in the individual. The 20-year-old landed all her jumps in the women's short program in the team event, including a triple lutz-triple toe loop combination. Known for being a particularly strong jumper, Tennell fell on a triple toe loop in the opening combination of her short program -- her first fall this season -- and nearly fell on two jumps in the free skate. 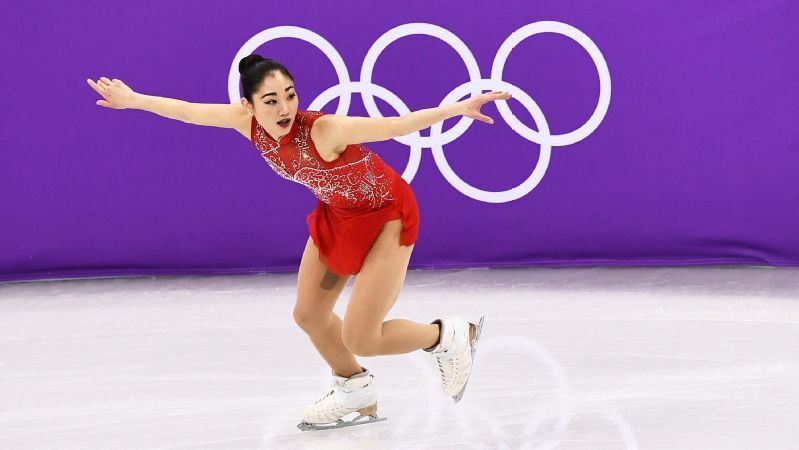 Yet despite another disappointing showing at the Olympics, having skaters such as Nagasu and Tennell for inspiration to learn triples could signal a shift toward American women entering international tournaments with a more complete arsenal of technical skills. Coupled with the lifting of jump repetition restrictions, perhaps the freeze of U.S. women's figure skating from internationally elite competition is beginning to thaw, even if the program is still a generation away from returning to former glory. "They're bringing that to the forefront again in American skating so that the young boys and girls growing up can say, 'I can do the most. I can do it all. I can do everything,'" Zakrajsek said. Despite disappointment in Pyeongchang, U.S. Figure Skating spokesperson Barbara Reichert said she is optimistic about the future of American women's skating, pointing to a steady rise in the organization's membership and its institutional changes the past few years. "We are confident in our current and upcoming ladies, who are developing their triple jumps sooner and competing in more international events than their predecessors. A few short years ago, a lot of people showed concern about the U.S. men, but we weren't concerned," she wrote in an email. "I think you'll see strong American ladies for the 2022 Games."